Yikes! 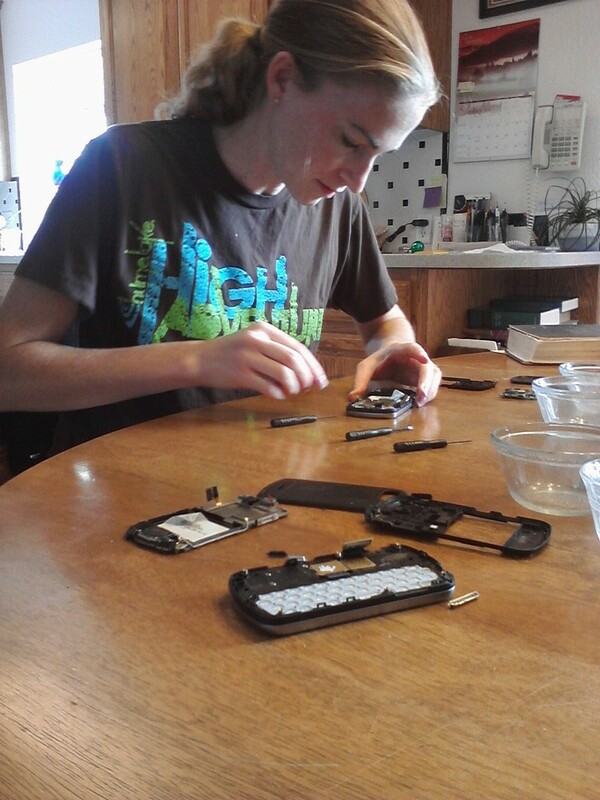 Taking apart a newer Android phone is no easy task! It's good to see you have all the basic tools you need, and of course later posts prove that the phone is working (or at least the camera is).I'm curious, exactly what was wrong with the phone to begin with?I've only had mixed results working on newer phones. Older models don't have nearly as many housing catches or "gotcha" stickers that prove you've voided the warranty. Plus, the Moment has that itty-bitty form factor, which means that everything must have been somehow crammed behind the keyboard and under the touchscreen - I can only imagine the headache...Well, I'm delighted to see that you've got it back in working condition again (did they try to make you buy a new one at full price?) and I've got to give you credit, you have more guts than I do getting into small electronics.